I love this paper! It’s only one of the 12 designs from Well Worn, a new Designer Series Paper Pack from Stampin’ Up. I wanted to make a tissue box cover for my son’s bathroom so I needed something masculine. This is what I came up with. I was kind of worried about the crochet trim but he really liked it! I also used Pacific Point andCajun Craze Card Stock. The bird is from the Nature Walk Stamp Set and was stamped with Chocolate Chip Ink onSahara Sand Cardstock. I added some detail, cut it out, and adhered it the piece of Cajun Craze withStampin’ Dimensionals. The two antique brads are also from Stampin’ Up! When I first saw the paper in the Newsprint Designer Series Paper Pack, I knew I was going to be altering a clipboard with it to “define me”. Since I was a teenager, I have been altering items to show all kinds of things that I love, things I’ve seen, places I’ve visited, favorites…Just anything that reminds me of me. Things change from day to day, so I never run out of ideas! I make sure that every time I make another item, I explain it to my family. That way, they have something else, besides my scrapbooks, that describes me and my life and that they can use to help them tell my story to their children and grandchildren. I have been trying to get them to make things like this for their children, but no luck with that, yet! I used Modge Podge to adhere a piece of Basic Black Cardstock to the front of the clipboard. Then, I cut out several words, small articles, and pictures from the Newsprint Designer Series Paper that mean something to me for one reason or another. The heading on one piece of paper was perfect for my title…The Story. I also used stamps, tags, and other embellishments that added to my story. These were all adhered to the cardstock with more Modge Podge. When everything was dry, I added one last layer of Modge Podge to protect the surface of the clipboard. After a final drying, ribbon and a piece of spiral wire were added as final touches. My clipboard is hanging on the wall right above the table in my craft room where I can see it everyday. If you have never done anything to “tell your story”, this is just one idea you can use. Make several items and give them to your children or family members as gifts. They will love it! Don’t you just love sponged and brayered backgrounds? I know I do! This one was done by sponging Perfect Plum, Tangerine Tango, Peach Parfait, Rose Red, Daffodil Yellow, and So Saffron Inks over the tree image which was first embossed in black on the Whisper White background. I know. I’ve been really slow in posting the cards from my card classes and I’m sorry. I will try to do better! 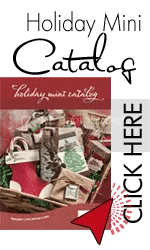 I’ve been so busy with classes, kits, John Sanpietro’s stamping classes, and family that there’s not enough time in the day to get everything done. I’m really enjoying my 4 grandchildren that live in the area this summer before I go to Maine to visit the 3 that live there. Here is one of the cards from a class I did last week. It is made using the Beautiful Butterflies Bigz Die (114507), the Beautiful Wings Embosslits Die (118123), First Editions Specialty Paper (121878), and Crumb Cake Cardstock (120953). 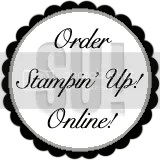 You can order these supplies by clicking on the “Order Stampin’ Up! On-line Button” in the right-hand column. This card was made with the retired Stampin’ Up! Set, “Always”. I love this set and hate that it has been retired! 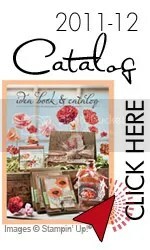 I guess I’ll just have to buy more stamp sets from the new catalog!! There’s so many great sets to choose from this year. I had seen a card similar to this one somewhere and made a quick sketch in my notebook so I could make it one day. Well, I finally got around to it a few weeks ago. I stamped the bird in Early Espresso ink and cut it out. The heart in the Whisper White background was stamped in Pink Pirouette. All the pink designer paper was adhered to Early Espresso Card Stock and then adhered to a Crumb Cake card.